The black spots were approaching; I knew I would be in complete darkness soon. I gripped my mother’s hand, knowing that this was only going to get worse. Seconds later I was jolted awake as my mother sprinkled water onto my sweaty face. Her worried expression was no different than all the other times she had been through this with me. My doctor helped me up and stated that I’d fainted because of my trypanophobia. This fear of needles has made its home in my mind since childhood. 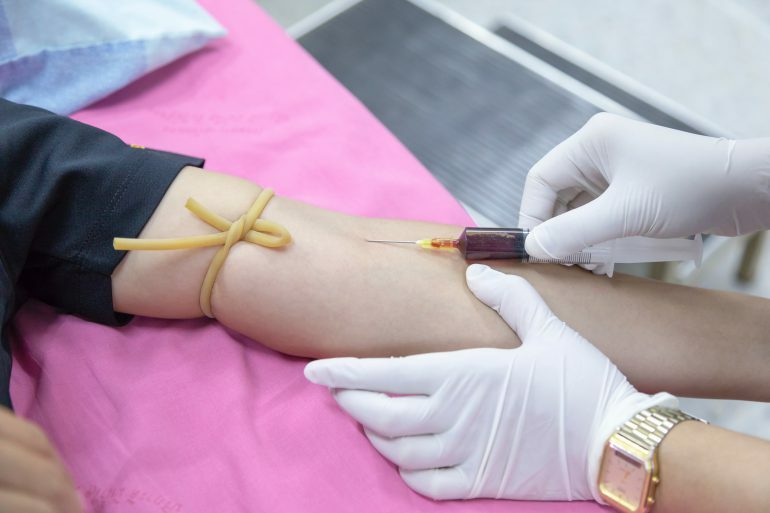 I was irrationally afraid of needles poking through my skin and the pain. For years, I was unable to handle the lack of control or the limp feeling I had after fainting; it was a battle I would lose against myself and the more I tried to fight it the worse it would get. A few months later while volunteering at Nationwide Children’s Hospital, I moved down the hallway, passing room after room. “ Hi! Can I paint something?” I looked around to see if anyone was with the little girl talking to me, but her perked up smile and beaming energy was hard to see past. “Jocelyn, you know that you shouldn’t be running around” said a heaving woman running towards us. I slid a wooden figurine behind my back, turned towards the girl and said, “So Jocelyn what would you like to paint today?” Jocelyn, unsure, looked at the woman, her charge nurse Amanda. “I know you like horses, would you like to paint one today?” Jocelyn grabbed the figurine and pulled me in for a hug. Her energy and smile were so powerful. What an inspirational experience! When I was seven years old I swore I would never go into the medical field because of my fear of needles. Now, ten years later, I know if I want to make a positive change in the lives of others like Jocelyn, I have to work towards overcoming my fears. People like Jocelyn inspire me and give me strength. I want to be a support system for others and give them the opportunity to become the brave and incredible people that they’re meant to be. Pearson Students: Do you struggle with any phobias? How do you face your fears? 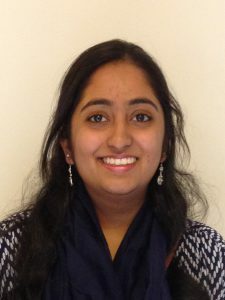 Disha Patel is a student at The Ohio State Unversity majoring in molecular genetics. In her free time she enjoys reading, volunteering, and spending time with friends and family. You can always find her traveling or seeking a new adventure. She and has been to five out of seven continents! Disha is a Pearson Student Insider. To learn more about the program and apply, click here.